A blog was my 2012 New Year’s resolution when I made a new website that contained a waiting blog link. My website was minimal. I needed a platform to talk about my work. Now a year later, I am hoping to bring together my images and words. A poem from Michael O’Brien’s novel Island of the World encapsulates my desire to fathom the grace that surrounds me and understand how words and images work together to explain beauty and truth. the sea surrounding it deeper than fathoming. the wing beats match mine. And you became a shape parting the night with your presence. The Ascent of the Dove (Island of the World by Michael O’Brien). 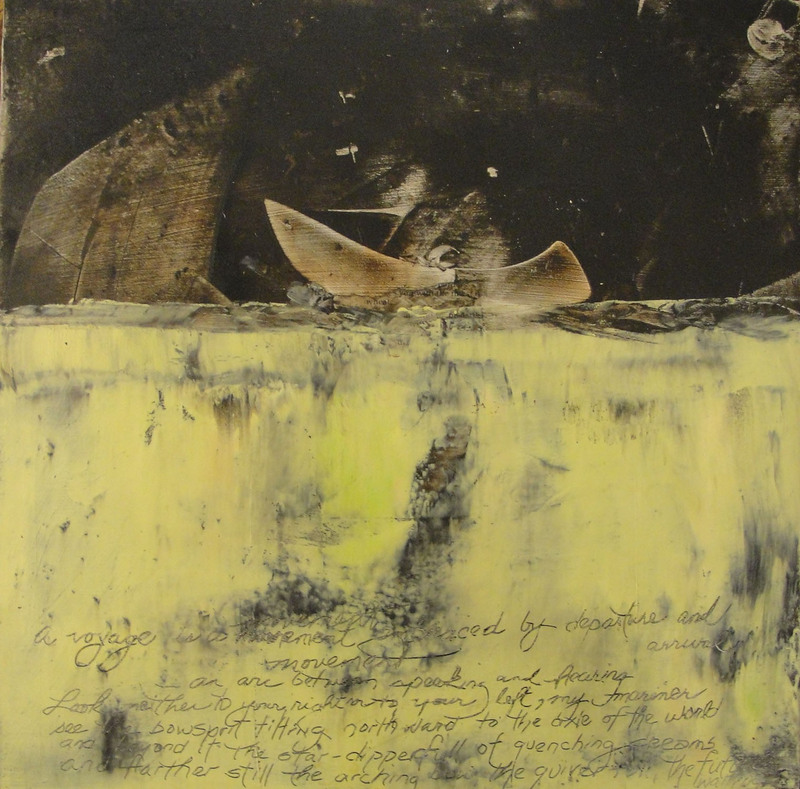 My recent VESSELS series, (oil / cold wax / mixed-media) explores this theme of pilgrimage and grace and the beauty and brokenness of the world around me. The paintings contains either or both human and mechanical vessels, vehicles of grace. And all suggest that life is a pilgrimage that requires sacrifice and faith. Below are several from that series. 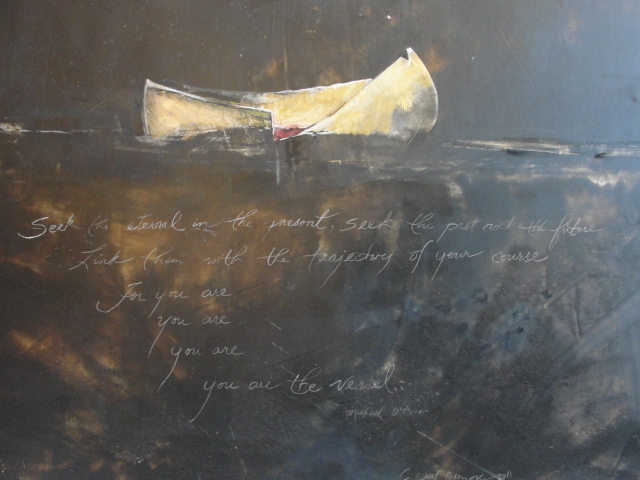 This entry was posted in Studio and tagged Art, mixed media, Painting, spirituality. Bookmark the permalink.